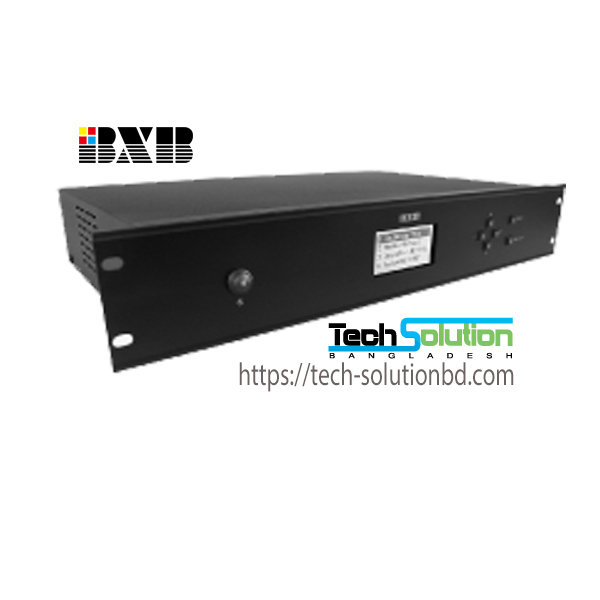 FCS-6300 Series – Tech Solution (BD) Ltd. 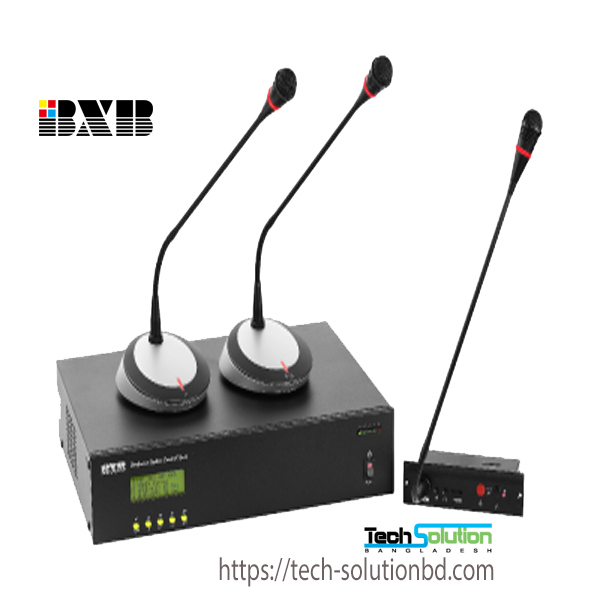 Equipped with large LCD display (128 x 64 pixels) with Chinese/English languages, which can show the system testing status, the quantity of connected microphone unit, the operation modes, and the volume/sensitivity of conference microphones. 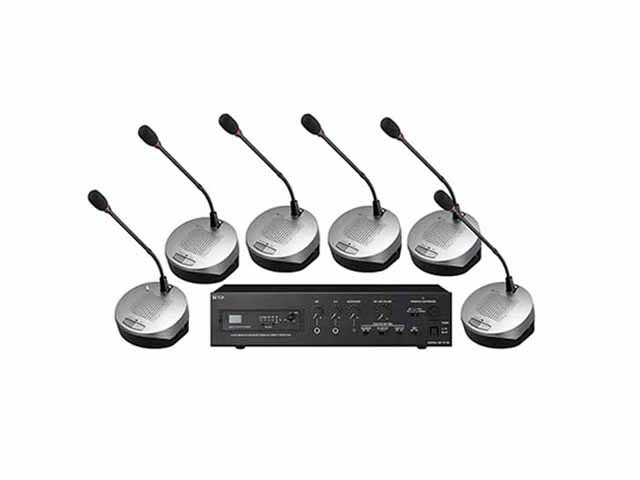 One control unit can connect 50 sets of microphone units. 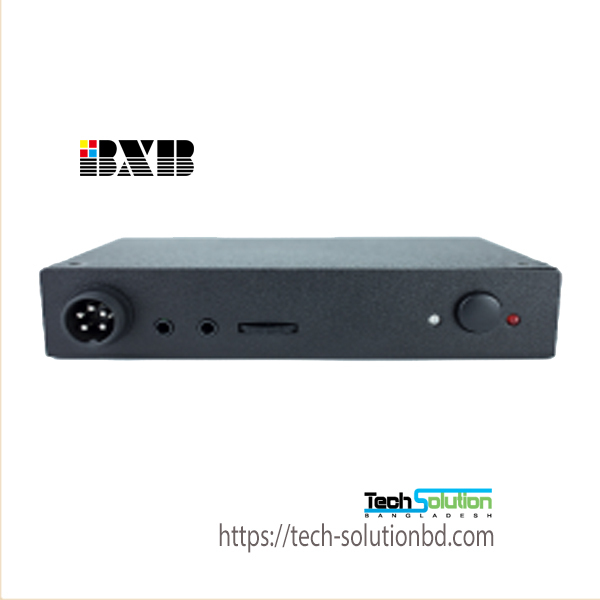 BXB’s extension power supply can be applied to add more. 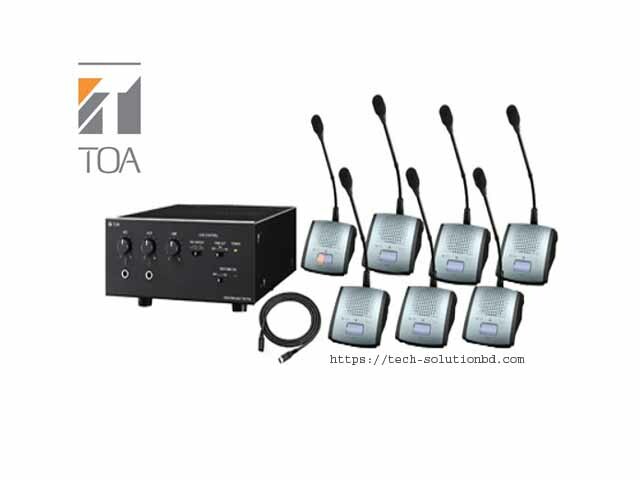 The maximum quantity of connected microphone unit is 1009 sets. Equipped with digital coding. Each unit’s ID number and the identity of chairman/delegate can be set by main control unit or graphical software directly. 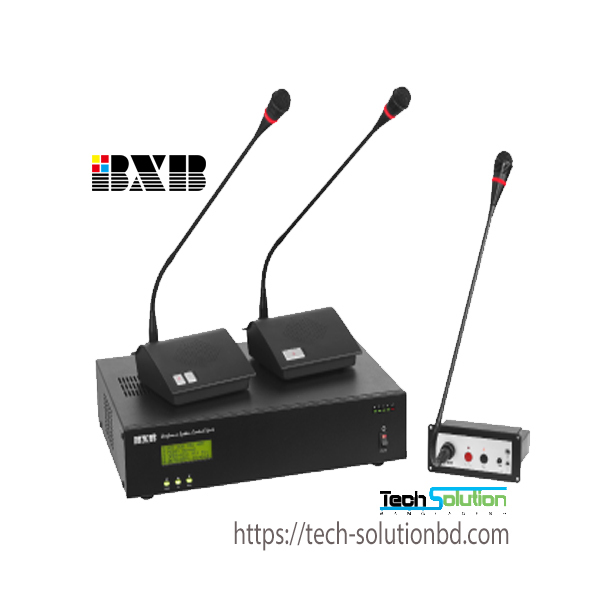 Equipped with TCP/IP protocol control to connect by PC or mobile devices via wired or wireless modes. 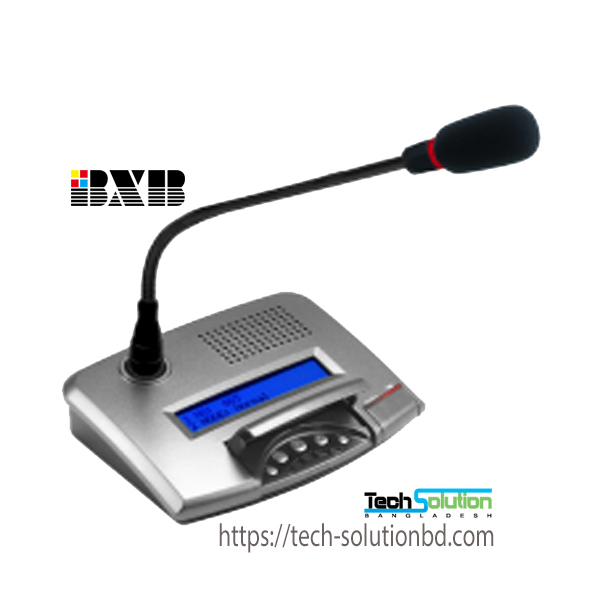 Integrated with BXB’s authorized iPhone/iPad APP software to easily realize mobile conferencing control. 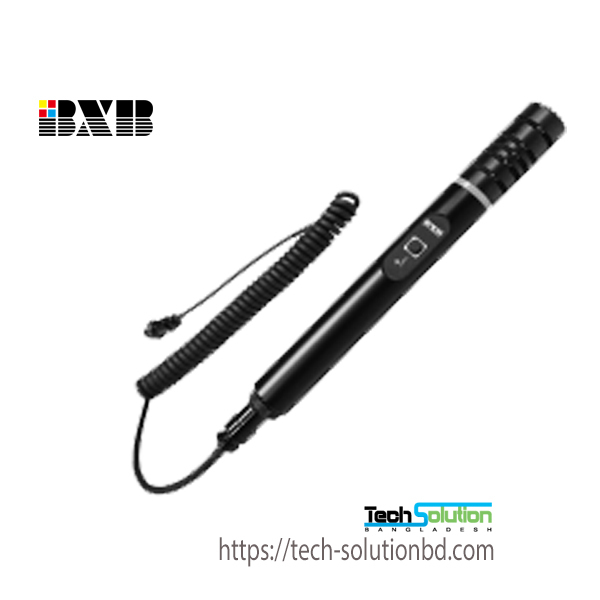 Equipped with USB connector to operate with PC for playing music or recording. Equipped with 4 sets of RJ45 ports. Each port possesses circuit protection mechanism to make the system safer and more stable. 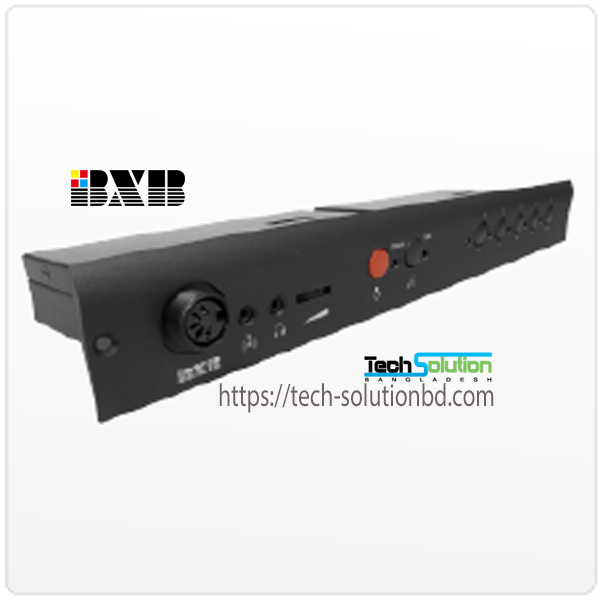 Equipped with RS-232 connector to operate with PC and other controlling equipments. Applied with commonly-used Cat-5e cables to ease the maintenance. Hidden speaking button makes the unit’s outlook more elegant and flowing. 5 kinds of metal color with 25 color-combinations provide multiple choices for room decoration. 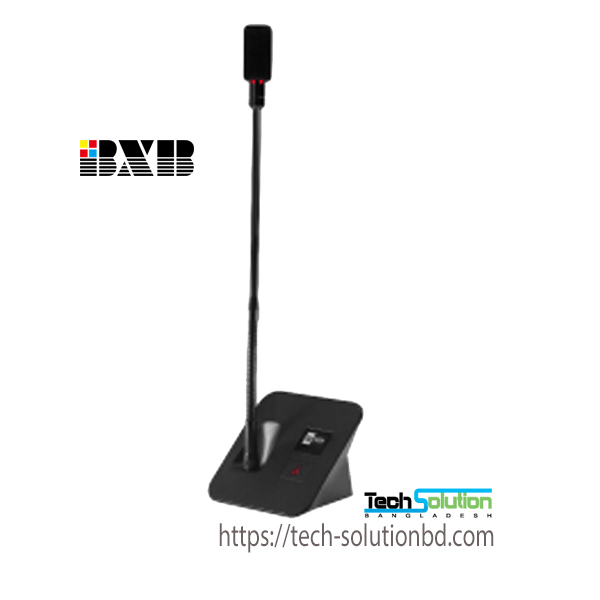 Equipped with DSP chip: sensitivity adjustment for each microphone. Applied with commonly-used Cat-5e cable. There’s no limitation of chairman unit’s quantity; the position and sequence of chairman unit can also be random. Able to set microphone auto-off as 10-99 seconds after the speaker finish speaking. 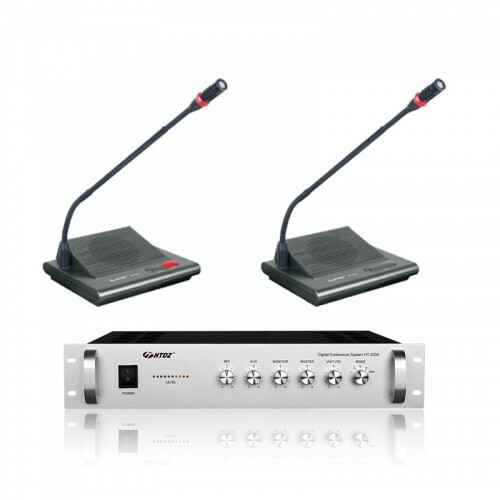 Equipped with DSP chip: AGC and sensitivity adjustment for each microphone. Equipped with OLED display: clearly show the operation modes. 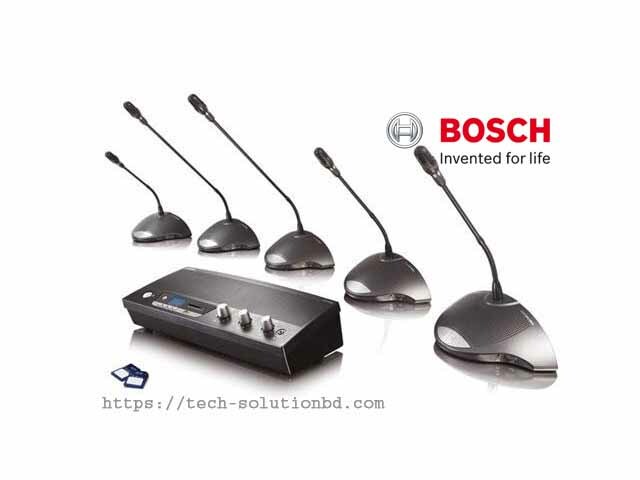 When the voltage of microphone is too low, the microphone would auto-off its operation and show the recent voltage value on the display. It helps evaluate system’s condition. Equipped with digital coding, rather than DIP switch. Each unit’s ID number and the identity of chairman/delegate can be set by main control unit or graphical software directly. The unit is equipped with white/red/green/orange LED indicator light to represent different operation modes: able to speak/speaking/override/FIFO. 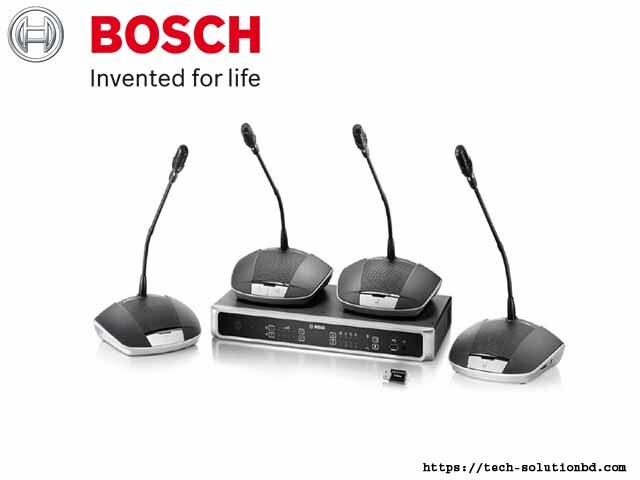 Chairman unit has the priority to speak and control: operate instant OFF, permanent OFF and temporary OFF. 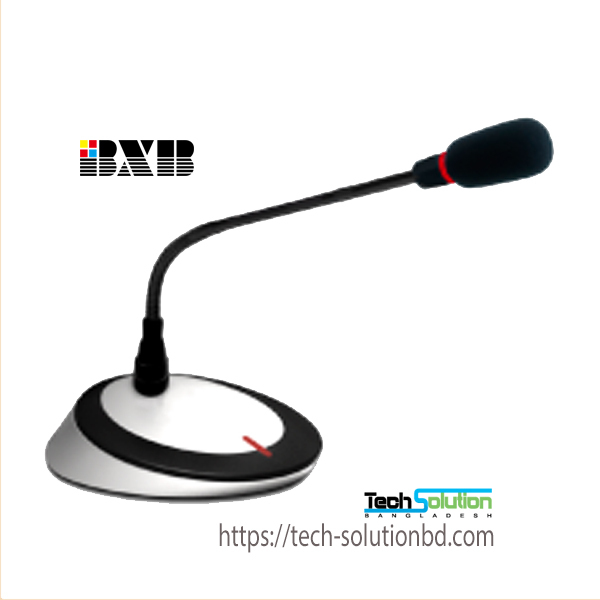 Minimum space occupied: smallest microphone base in the world (115 X 100 mm) to increase the table using space for attendees. Equipped with 2 x 24 digit LCD display to show operation modes and speaking statuses. Equipped with built-in 2.5” x 1.5” HI FI speaker. 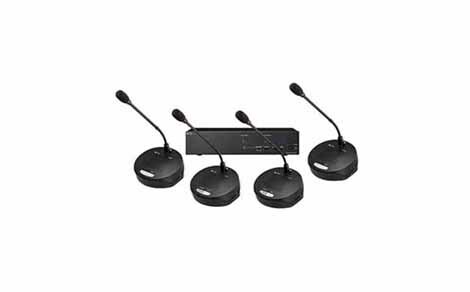 When the microphone is operated, the speaker would be auto-off to avoid sound feedback. With built-in voting interface with five buttons in the lid. 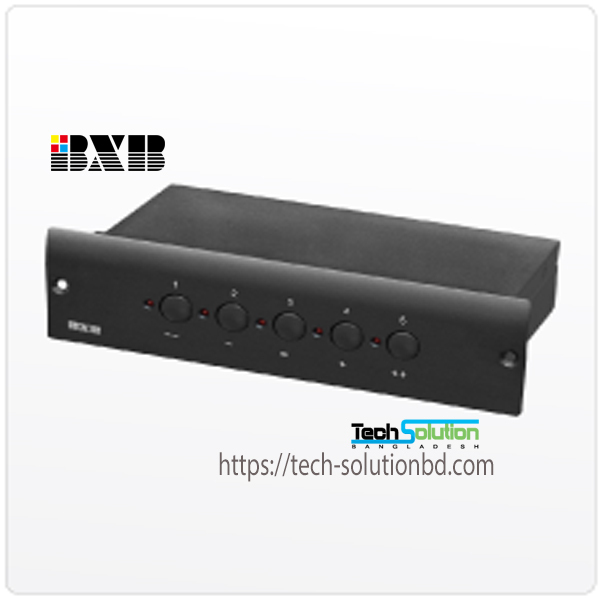 It can operate with BXB’s graphical control software to do voting function. Equipped with 2 sets of Ø3.5mm recording plugs. Attendees can connect recording equipment with the unit directly as well as connect earphone. Applied with extruded aluminum panel. 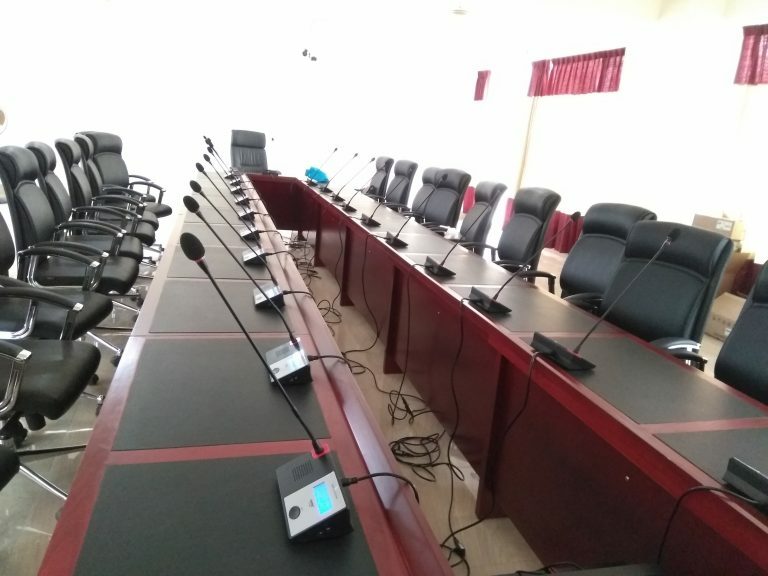 It can be easily mixed with conferencing table. The panel can be customized based on different requirements. 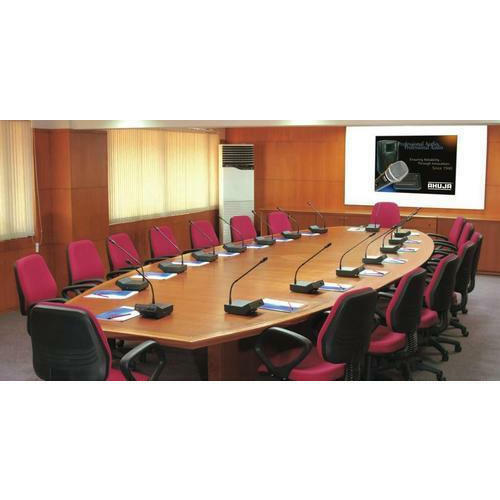 Conferencing interfaces such as discussion, voting, interpreting, AC power plug, and RJ45 internet plug can be integrated to a single panel. Equipped with earphone and recording plugs. 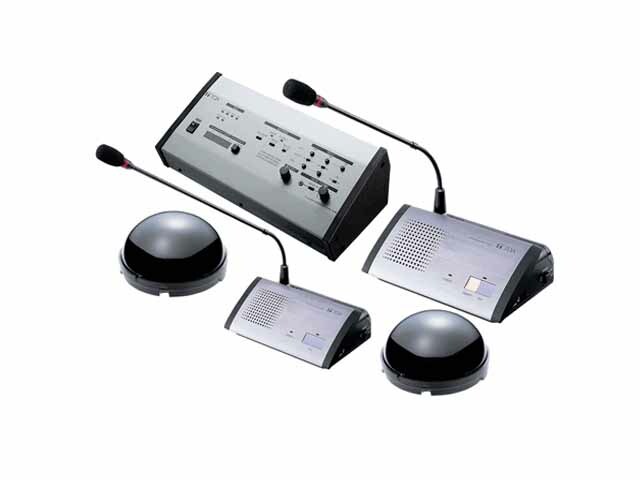 Equipped with 5 voting buttons with LED indicator light. The buttons can operate presence, agree (+), disagree (-), and abstention (0)/ operate with number: 1-5 (multiple-choice voting). Should be adapted with WM-H1 hand-held microphone. Equipped with 2 sets of RJ45 plugs to operate parallel connection. It supports hot-plugging. Just wait within 2 seconds after plugging in, the microphone can be used as normal. 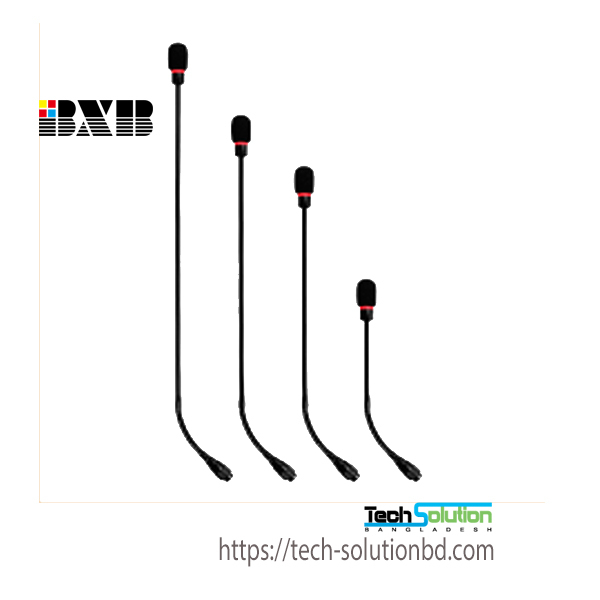 Adding or taking out microphones can be operated any time. Installation: put on the table or fix in the arm of armchair. Equipped with Ø3.5mm recording plugs. Attendees can connect recording equipment with the unit directly. The panel is equipped with red/green/orange LED indicator light to represent different operation modes (chairman/override/FIFO). Shield inside of the capsule with noise-interference device. Mute-switch of ON/ OFF speaking button. With 1m-1.5m flexible spiral cable, easy for storage. 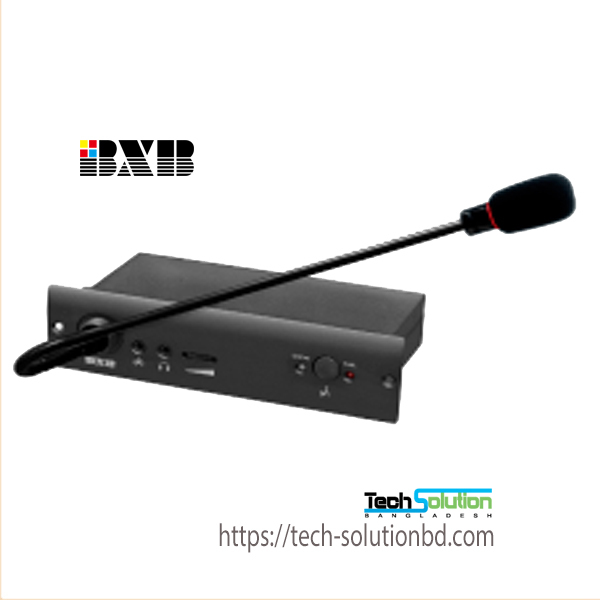 Quick connection with microphone unit interface. For good-looking and durability, the unit is designed with flush-mounted type and extruded aluminum panel. Length: 32/43/48/56/70 (cm). 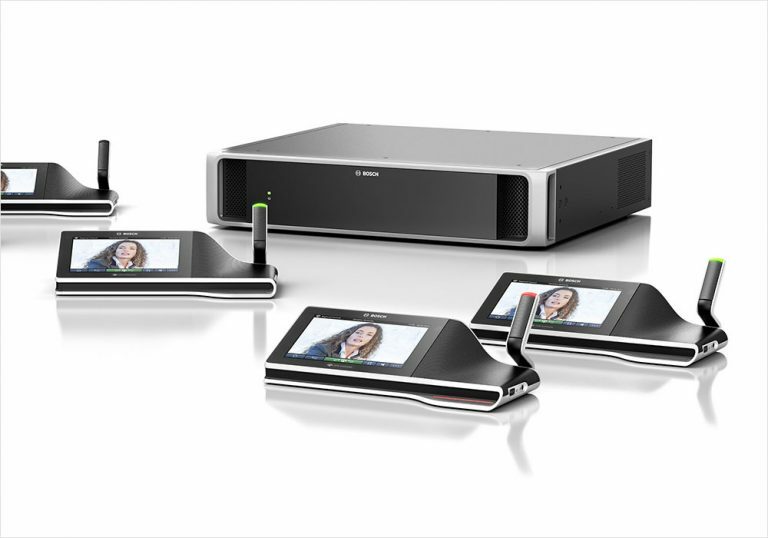 Adaptable with different meeting environments. 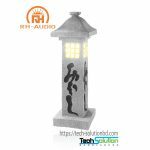 Able to avoid the interference of electromagnetic wave even though its distance with 3G and 4G cell phone is just within 10cm. Equipped with shield and flexible gooseneck tube, which is easy to be positioned. Even bending it normally, it would not make any noise. Length: 32/43/48/56 (cm). 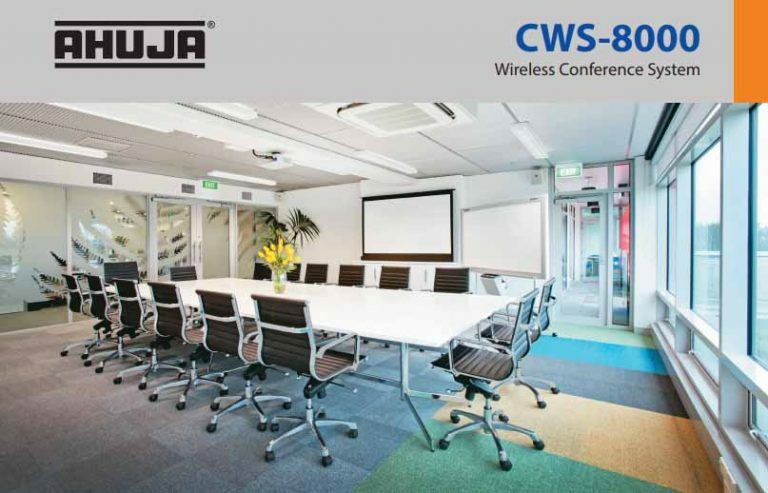 Adaptable with different meeting environments. 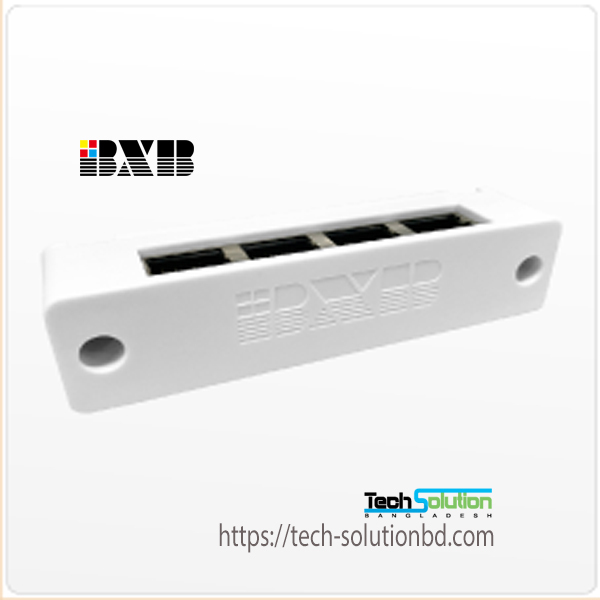 Equipped with 4 ports of RJ45 connector. Two screw holes for fixing on the table. 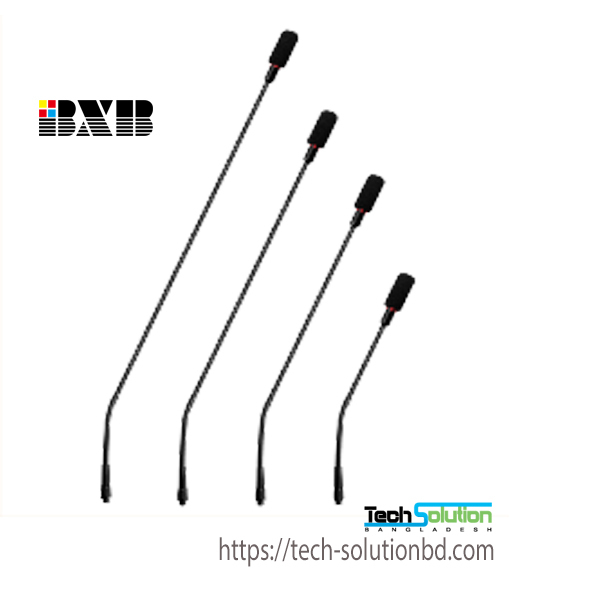 Effectively decrease the length of using cables and increase the flexibility of cabling!